Bearcub Creations: High-Five for Friday! This week has been a weird one with Max having a day off in the middle of his week (Monday). It felt like he should have had the whole rest of the week off as well but sadly he didn't. Anyways, here are the highlights from our week. 1. 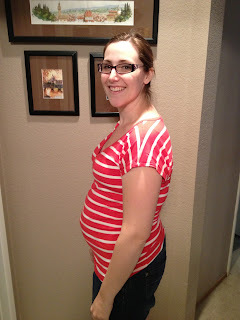 This week we hit 17 weeks with this pregnancy! This one is going so fast now that I'm not sick! 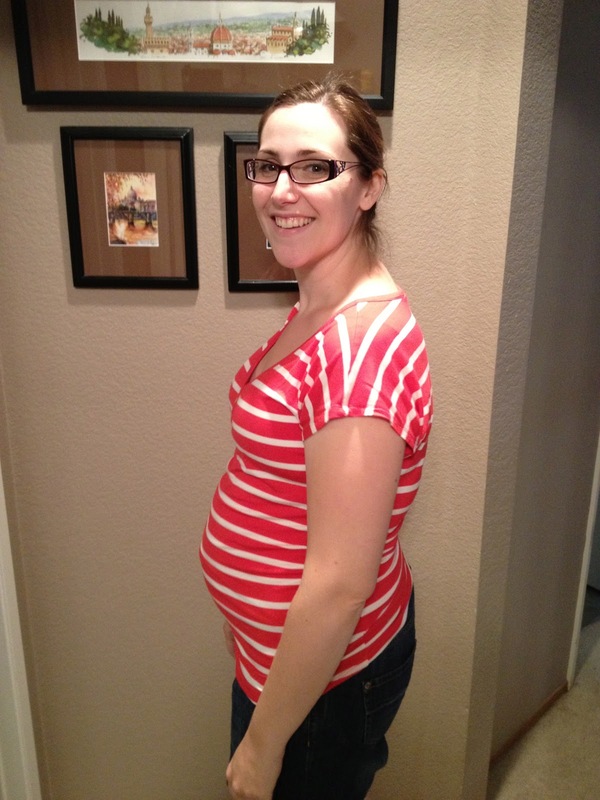 AND this week, I was able to feel baby J move and by Wednesday, Maxwell could feel it too! SO much fun! 2. Aston got to drive the car with daddy for the first time. He was so focused and into it. It brought back memories from when I was little with my dad. 3. He was a crazy little boy this week but he is so darn cute, all I could do was laugh at him. 4. We had a successful trip to Costco yesterday thanks to a sheet of stickers. He had a lot of fun decorating himself with them! 5. This morning, we had a fun family Zoo date! I just love spending time with these guys! Your little boy covered in stickers at the store, adorable! You have a beautiful family. Found your blog through the High Five for Friday link-up!